This week I have two book releases. The first is White-Hot Holiday, a Christmas novella previously released as part of the Stranded With a Hero anthology. White-Hot Holiday is now available for individual sale. 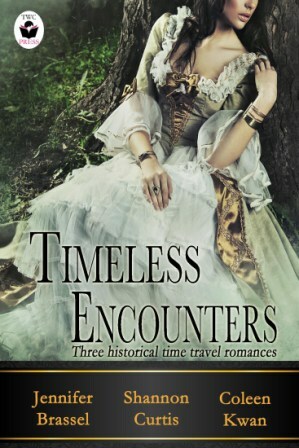 My second release is Timeless Encounters: An Anthology of Romantic Novellas. Three time-travel novellas from Jennifer Brassel, Shannon Curtis, and me. The Photograph: Whilst crossing the threshold into her doppelganger’s enigmatic past, archivist Erin discovers the key to her own future, answers to her past, and heals the heart of a man wounded by tragedy.